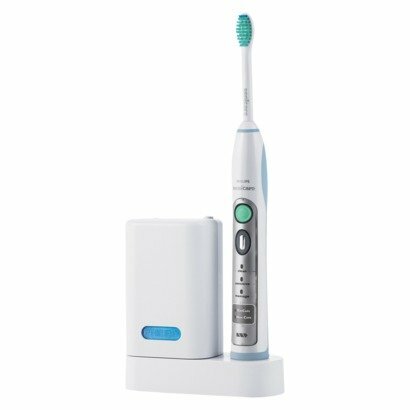 Philips Sonicare FlexCare HX6932/10 is a rechargeable sonic toothbrush featuring three brushing modes and two cleaning routines, is a great solution for complete oral care. The three flexible brushing modes can be personalized and addressed as per the oral care needs. The clean mode is ideal for complete whole-mouth cleaning, massage mode improves gum health by stimulating gums with an invigorating and pulsing motion and the sensitive mode is extra gentle for new users or those with sensitive teeth and gums. All modes are proven to remove and protect from plaque, bacteria or gingivitis than a manual toothbrush. This electric toothbrush’s unique dynamic action gently and effectively reaches deep between teeth and along the gum line and improves gum health in two weeks. After a full 24 hour charge, the toothbrush will last approximately 3 weeks of typical use i.e. 2 minutes of brushing, twice a day, which makes it easy to carry for travel purposes. Still, for convenience a multi-voltage travel charger, travel case and two hygienic travel caps are also included. When turned on, the back-lighting indicates the selected mode and the convenient recharge indicator on the brush displays the available battery life and turns yellow when you need to recharge. This toothbrush also features two timer setting – Smartimer encourages to brush for full 2 minutes which is the time recommended by dentists, while Quadpacer beeps in every 30 second intervals to ensure thorough brushing of all four quadrants. This brush comes with an all-in-one sanitizing, charging and storage unit. After a full 24 hour charge, the toothbrush will last approximately 3 weeks of typical use i.e. 2 minutes of brushing, twice a day, which makes it easy to carry for travel purposes. Still, for convenience a multi-voltage travel charger, travel case and two hygienic travel caps are also included. When turned on, the back-lighting indicates the selected mode and the convenient recharge indicator on the brush displays the available battery life and turns yellow when you need to recharge. 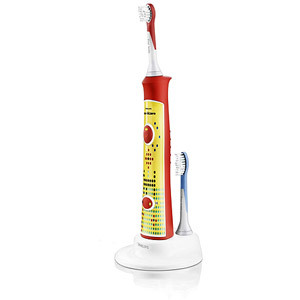 This toothbrush also features two timer setting – Smartimer encourages to brush for full 2 minutes which is the time recommended by dentists, while Quadpacer beeps in every 30 second intervals to ensure thorough brushing of all four quadrants. This brush comes with an all-in-one sanitizing, charging and storage unit. The multi-functional unit has a built-in ultraviolet brush head sanitizer that kills up to 99 percent of bacteria and viruses from the brush head. Some users say that the battery does not last as long as claimed by the manufacturer. In some cases, the unit stopped working completely after few months. Also, some reviewers felt that the brush is too noisy or loud. Overall, the Philips Sonicare HX6932/10 FlexCare Toothbrush offers a thorough oral care process for a perfect clean and whiter teeth and healthy gums. Its quality features and affordable pricing is backed with a 2 year limited warranty. For easier sharing, the toothbrush comes with three interchangeable color-coded rings to identify individual brush head and make sure everyone in the household uses the correct one, adds up to its advantages. The Oral-B Professional Care 3000 electric toothbrush provides dentist-inspired cupping action in which a unique, round brush head surrounds each tooth for individual cleaning, resulting in an amazing, tooth-by-tooth clean. Unlike brushes that just vibrate, Oral-B's clinically proven technology pulsates to break up plaque and oscillates & rotates to sweep plaque away with 50% more brush movements than sonic technology. It features 40,000 pulsating movements per minute and superior plaque removal, giving you cleaner teeth and healthier gums in 30 days. This brush gets rid of up to 97% of the plaque and it also protects your gums and aids in preventing and reversing gingivitis. Oral-B's exclusive cleaning action also helps naturally by removing surface stains and makes teeth whiter and shinier in just 2 weeks. 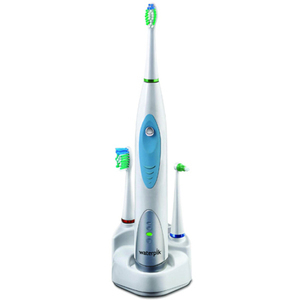 Additionally, premium features include 3 cleaning modes of operation: daily clean, sensitive and whitening and a unique Pressure Sensor that indicates through a red LED when you're brushing too hard and stops pulsations for proper pressure. Indicator Bristles fade halfway as a sign to replace your toothbrush head for a better clean (about every three months). It also features a 30 seconds quadrant timer and a 2 minute cleaning timer on the handle. This electric brush offers a variety of toothbrush heads to fit your personal oral health needs and is compatible with a wide range of Oral-B electric toothbrush heads for an overall oral care and hygiene. Additionally, premium features include 3 cleaning modes of operation: daily clean, sensitive and whitening and a unique Pressure Sensor that indicates through a red LED when you're brushing too hard and stops pulsations for proper pressure. Indicator Bristles fade halfway as a sign to replace your toothbrush head for a better clean (about every three months). It also features a 30 seconds quadrant timer and a 2 minute cleaning timer on the handle. This electric brush offers a variety of toothbrush heads to fit your personal oral health needs and is compatible with a wide range of Oral-B electric toothbrush heads for an overall oral care and hygiene. This electric toothbrush has a rechargeable battery and works for up to 2 weeks on a single charge. This unit includes a SmartPlug charger and a charging station, which can also house 4 brush heads. However, one of the major complaints from reviewers is that the bump on the back of the head brush makes it thick to brush in the back teeth. Also, many feel that the replacement brush heads are a little expensive and as the kit comes with only one brush head it’s a little disappointing. Overall, Oral-B Professional Care 3000 is a dentist recommended tooth brush which promises satisfaction in 60 days or money back guarantee. This easy to use, compact and light weight brush is recommended for its reasonable price and great oral health care and hygiene features. 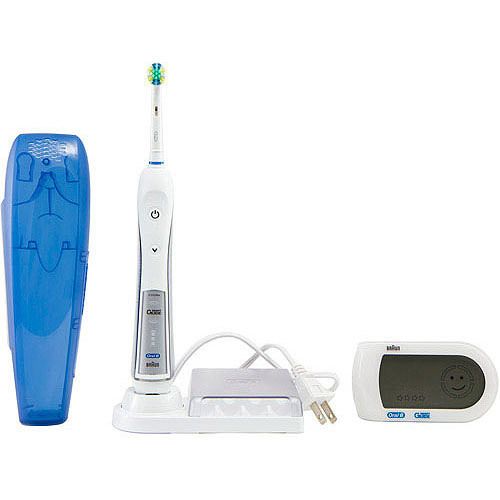 Oral-B Professional Healthy Clean + Floss Action Precision 5000 Rechargeable Electric Toothbrush provides most advanced cleaning technology for ultimate plaque removal and also features a wireless SmartGuide. 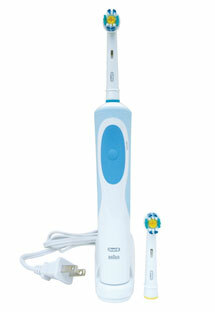 The Oral-B 5000 features 40,000 pulsating movements per minute for superior plaque removal. It has a waterproof, ergonomic rechargeable handle, an easy-to-read charge level display and features 5 brushing modes: Daily Clean, Deep Clean, Sensitive, Massage and Polish. 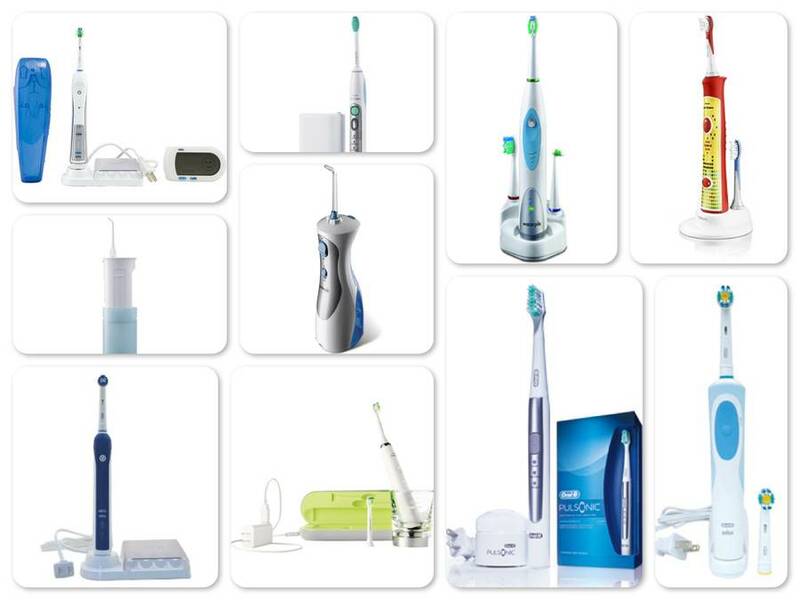 Oral-B offers a variety of toothbrush heads to fit your personal oral health needs. It is compatible with a wide range of Oral-B electric toothbrush heads too. The Wireless SmartGuide provides real-time guidance to help you brush the way dentists recommend. Its quadrant timer helps you brush for the recommended 2 minutes (3 minutes with Deep Clean Mode) and it lights up to tell you when you are brushing too hard. Indicator Bristles fade halfway as a sign to replace your toothbrush head for a better clean (about every 3 months). This kit includes – Travel Case, Wireless SmartGuide, Family toothbrush head holder and small footprint charging station. Overall, the Oral-B Professional Healthy Clean + Floss Action is designed to give an outstanding clean over the manual brushing. Overall, the Oral-B Professional Healthy Clean + Floss Action is designed to give an outstanding clean over the manual brushing. Take brushing to the next level and discover impressive results with this dentist recommended kit backed with unbeatable price and 2 years limited warranty. The brush has a KidTimer that gradually increases brushing time slowly over 90 days, building towards the dentist recommended 2 minutes. The KidPacer delivers fun and engaging musical tones that encourage kids to brush the front and back of both upper and lower teeth, that is all the four quadrants. There is a reward tune at the end of brushing. Philips Sonicare DiamondClean uses powerful Sonic technology to clean teeth with up to 31,000 brush strokes per minute. Sweeping motions drive fluids deep into the tight spaces between your teeth and along your gum line, resulting in a cleaner, healthier mouth. The DiamondClean naturally results in whiter teeth, improved gum health and better plaque removal than a manual toothbrush. It is clinically proven to improve gum health in just 2 weeks. The gentle brushing action helps prevent gum recession and removes more plaque in hard to reach areas compared to a manual toothbrush. It is proven to remove coffee, tea, tobacco or red wine stains. The brush heads (included) snap onto the slim, ergonomic handle for easy replacement and optimal hygiene. The DiamondClean offers 5 unique cleaning modes – Clean: Two-minute standard mode for a full mouth clean, White: Gently lifts surface stains to whiten teeth, Polish: Brightens and polishes teeth for a luminous smile, Gum Care: Three-minute mode helps improve gingival health and Sensitive: More gentle motion for sensitive teeth and gum health. 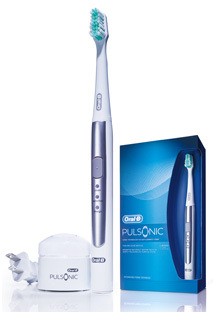 Philips Sonicare DiamondClean uses powerful Sonic technology to clean teeth with up to 31,000 brush strokes per minute. Sweeping motions drive fluids deep into the tight spaces between your teeth and along your gum line, resulting in a cleaner, healthier mouth. The DiamondClean naturally results in whiter teeth, improved gum health and better plaque removal than a manual toothbrush. It is clinically proven to improve gum health in just 2 weeks. The gentle brushing action helps prevent gum recession and removes more plaque in hard to reach areas compared to a manual toothbrush. It is proven to remove coffee, tea, tobacco or red wine stains. The brush heads (included) snap onto the slim, ergonomic handle for easy replacement and optimal hygiene. The DiamondClean offers 5 unique cleaning modes – Clean: Two-minute standard mode for a full mouth clean, White: Gently lifts surface stains to whiten teeth, Polish: Brightens and polishes teeth for a luminous smile, Gum Care: Three-minute mode helps improve gingival health and Sensitive: More gentle motion for sensitive teeth and gum health. An illuminated display indicated the selected mode and becomes invisible when power is off. This brush also features two types of timers – Smartimer: encourages brushing for full 2 minutes and Quadpacer: beeps in 30 seconds to ensure all four quadrants are covered. 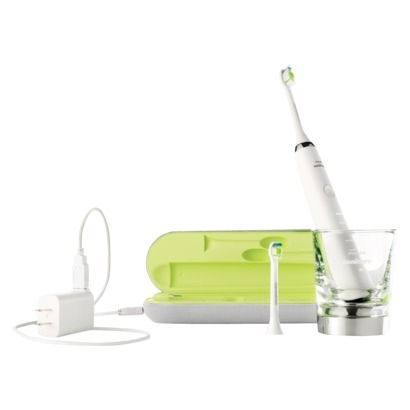 DiamondClean's unique charging glass features the latest in conduction technology as it charges the toothbrush while resting in the glass, which can also be used for mouth rinsing by removing it from the base. Featuring a rechargeable lithium-polymer battery, the brush lasts up to three weeks (or 42 uses) on a single charge. A battery indicator light on the toothbrush illuminates when power is running low. This innovative travel case allows you to take your Sonicare anywhere - just connect the case to your laptop via USB or plug it into a wall outlet for Sonicare's best cleaning on the go! Some reviewers reported problems with the main control button being located right where the brush is held, as it accidentally turns the brush off in mid cycles. Also some complained that the new models are not compatible with older model brush heads and a little wider bristle brush head would be an added advantage. Overall, the Philips Sonicare DiamondClean has diamond shaped medium stiffness bristles to effectively yet gently scrape away plaque. The Sonicare DiamondClean is definitely a recommended purchase not only for its exceptional cleaning features but also for its unbeatable price, 2 years limited warranty and 100% money back guarantee. 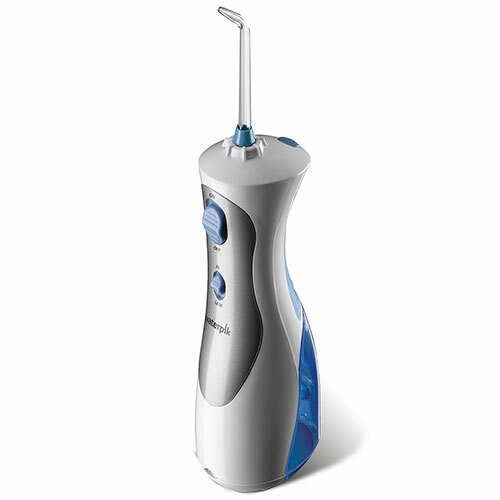 Waterpik Water Flosser Cordless Plus provides a unique combination of water pressure and pulsations to massage and stimulate gums, and remove plaque deep between teeth and below the gum line where traditional brushing and flossing can't reach. This unit is ideal for those who don't like to floss and for anyone with braces, implants, crowns, bridges, or periodontal pockets. And it is a great solution for those who prefer the convenience of a cordless water flosser. Water flossing for about a minute a day conveniently and comfortably removes up to 99.9% of plaque from treated areas and gently massages the gums to improve overall oral health. This unit is clinically proven to be up to twice as effective as string floss at improving gum health, and three times as effective as string floss for cleaning plaque and debris around braces than other orthodontic appliances. The dual water pressure control system helps in personalization of the water pressure intensity by choosing either a gentle or more powerful pressure to suit individual choice and need. The Cordless Plus Water Flosser comes with 4 tip attachments – the Plaque Seeker Tip which removes plaque in hard to reach areas around implants, crowns, bridges and other dental work, the Classic Jet Tip reaches below the gum line to keep your mouth and gums healthy, the Orthodontic Tip is three times as effective as floss when it comes to removing plague or debris around the braces and the Tongue Cleaner removes bacteria from the tongue to help freshen breath. It includes an advanced ergonomic handle with non-slip grip, an improved easy-to-fill reservoir, and a dual-pressure control - low for sensitive gums and high for deep cleaning. Quick and easy to use, the cordless rechargeable design gives maximum mobility and convenience eliminating the worry of batteries running out. It is advised to turn on the device after putting the brush in the mouth and turn it off before removing it from the mouth to avoid a mess. Also, another major drawback seen is the leaking handles and sticking buttons of the device. Overall, the Waterpik Water Flosser Cordless Plus is one of the most trusted brands of dental professionals and consumers for complete oral health. Premium-quality cordless design, lightweight and easy to use features along with affordable price makes it easy to maintain healthy gums. This unit is backed by a 2 year warranty and can be used with your favorite mouthwash for a clean and refreshing sensation. The Waterpik Sensonic Professional is an advanced, high-speed sonic toothbrush designed for powerful, yet gentle, plaque removal. The Sensonic Professional features an advanced design, a bristle speed that is 25-percent faster, and, according to the Journal of the International Academy of Periodontology, is clinically proven to remove significantly more plaque than the Sonicare Elite and Oral-B Sonic Complete toothbrushes. You get superior stain removal for healthier gums, whiter teeth, and a brighter smile. The Waterpik Sensonic Professional features a new ergonomic handle design with a non-slip grip, recharge indicator light, 2-minute brushing timer, 30-second quadrant pacer, and dual speed control - "low" for sensitive areas and "high" for optimal plaque removal. 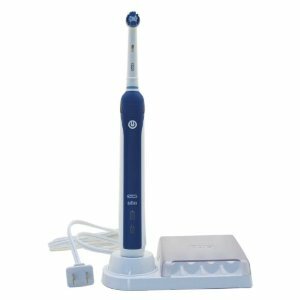 It includes two standard brush heads, one interdental brush head, and a charger base. The Standard Brush Head features extra-soft, end-rounded bristles that gently target hard-to-reach areas between teeth and below the gum line. The Interdental Brush Head is specially shaped to gently but effectively clean trouble spots between teeth. Overall, the Waterpik Sensonic Professional is a highly recommended oral hygiene device with outstanding features and technology, unbeatable price and backed by 2 years warranty, which make effective brushing simple. The Oral-B Vitality ProWhite Rechargeable Electric Toothbrush features a head with a unique polishing cup to surround each tooth and polish away surface stains, while removing more plaque than an ordinary manual brush. The Vitality ProWhite features 40,000 pulsating movements per minutes for superior plaque removal for healthier and whiter looking teeth. This Oral-B toothbrush comes with a rechargeable battery and is compatible with a wide range of Oral-B electric toothbrush heads so you can get the clean you need, every time. It also features a 2 minutes timer mode that helps brushing for a full recommended time for overall cleaning. Indicator Bristles fade halfway as a sign to replace your toothbrush head for a better clean (about every 3 months). It has color coded collar for easy identification if the base is used by other family members. However, many reviewers are not satisfied with the battery backup that this unit offered. However, many reviewers are not satisfied with the battery backup that this unit offered. The battery does not hold up charge for long duration. Though the charger base gets warm enough to indicate some activity, the battery does not charge fully or thoroughly even after 12 – 24 hours of charge provision thus leading to insufficient battery even for one brush cycle at times. Also, some reviewers say that the brush head is too small to clean all places. Overall, the Oral-B Vitality ProWhite Rechargeable is a good entry level or basic electric toothbrush for a clean and hygiene oral care. The Vitality Pro is compact in size with reasonably priced for its features and is backed with a 30 days money back guarantee. The Panasonic Oral Irrigator EW-DJ10-A provides a powerful and refreshing cleaning to maintain complete oral health. This Oral Irrigator powers away debris from braces and tough to reach places, while at the same time, being gentle on the gums and massages the gumline effectively. The Irrigator features two speed water jet flow settings with 1600 pules per minute, and comes with a 165 ml water tank. When not in use, it can be compressed to half of its size by emptying the water tank. The compact and slim cordless design is waterproof and perfect for travelling. This Irrigator is totally suitable for kids and adults at the same time. Some users reported that it does not support the control of the water pressure through hand or thumb at the handle while using. Even if tried to control the water with the thumb, it would dislodge the tip by spraying water all over. The only way to stop the water pressure is to use the button on the tank. 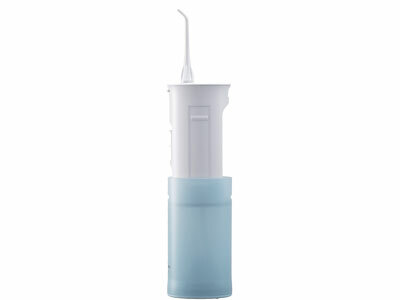 Overall, the Panasonic Oral Irrigator EW-DJ10-A is easy to use and inexpensive. It is a perfect flossing solution for either kids or adults with or without braces. Overall, the Panasonic Oral Irrigator EW-DJ10-A is easy to use and inexpensive. It is a perfect flossing solution for either kids or adults with or without braces. This unit requires 2 AA batteries. The Oral-B Pulsonic S15 Electric Toothbrush is designed to naturally whiten teeth by gently polishing away surface stains. Pulsonic’s dynamic bristle cleaning action removes more plaque when brushed in circular motion, than a manual toothbrush. This attractive electric toothbrush is slimmer and sleeker than other models and works on the vibration technology, not oscillation, like other models. It allows customization of the routine as per individual needs with Clean and Sensitive brushing modes. The two-minute timer helps in reaching the dentist recommended brushing time. Its compact design and battery backup makes it pretty easy to carry while travelling. Some reviewers say that head and handle on this brush are poorly designed. The constant vibration loosens the brush head from its base and falls out easily, thus interrupting the 2 minute brushing process. Also, the charger is not auto voltage, which requires carrying an adapter during travel. Overall, the Oral-B Pulsonic S15 Electric Toothbrush is slimmest and lightest sonic toothbrush with reasonable price and 2 years limited warranty.